n instrumental version of your song available will increase your chances by 50% of it being used in a film or TV show. It is super easy to have done too when you’re mixing and mastering the music originally. 3. Watch TV: This one should be pretty easy! To take it a couple of steps further though, follow the advice of artist development expert Tim Sweeney (www.timsweeney.com): While watching your favorite shows, pay attention to the characters and the situations they typically find themselves in and what music is playing during those times. If you have a song that would work well when a certain character is in a certain type of situation, contact the music supervisor for the show saying you have a song that would work perfectly when so-and-so is in such-and-such situation. You are basically doing their job for them and it increases your odds greatly of having them at least ask to hear the song. Also see Find Shows That Need Your Music Fast. 4. 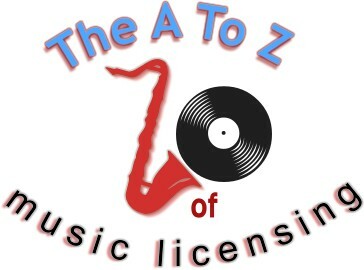 Contact the Music Supervisor: The objective when contacting a music supervisor is to get permission to send them your music for review as “requested material.” Spend your time with them by asking questions and listening. Don’t start out by telling them how great your music is and all the reasons that they should use it. You want to be positive about how you can fulfill their needs. Get as much information as possible about what kinds of music are needed, so that you can tailor your music CD and cover letter to that (discussed in more detail in Making Money with your Music). 5. The Package: When sending in a CD for a music supervisor to review, remove the shrink wrap, use a bubble wrap envelope to protect the CD and if you are sending your complete album, it’s a good idea to use a marker to highlight key tracks and write a brief description. You could also include a “post-it” note of stand-out tracks on your cover letter. Since you kind of know what they are looking for, you should point them in the right direction. They won’t have time to listen to your entire CD to find what they’re looking for. Make it as easy for them as possible.